The Claims Adjuster position is expected to experience a 4% growth from 2012 to 2022, according to the Bureau of Labor Statistics. But the life of a claims adjuster is one that can be stressful at times. Accident victims many times yell at you. And sometimes there are even physical confrontations to deal with in face-to-face under circumstances that are not always pleasant. When handling a 150-file caseload, this can definitely make your day-to-day a challenging one. We are here to make it easier. With The Resume Clinic, you get certified resume writing professionals skilled in print marketing strategies that promote reader engagement and comprehension. A good resume is about more than job descriptions. A good claims adjuster resume writer also understands the use of document structure, strategic content placement, proper margins/spacing and font choice. 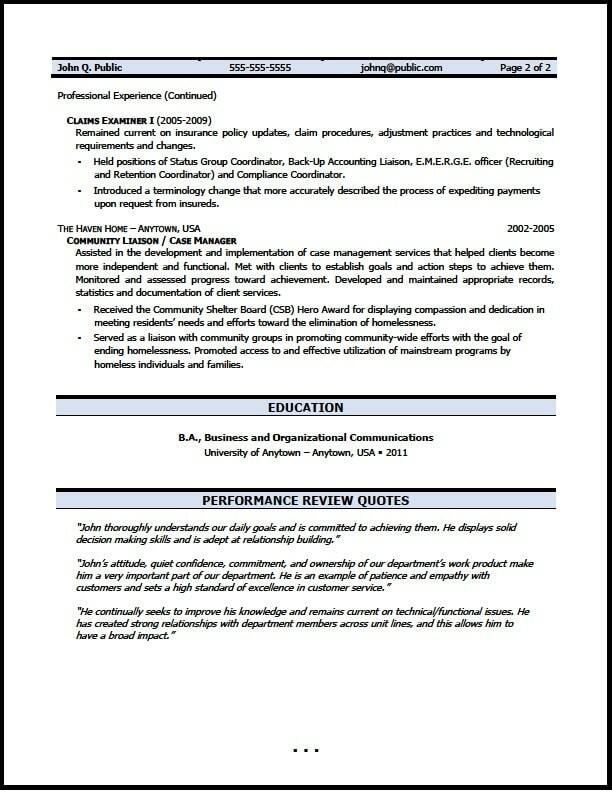 We build resumes that bring consistency in interviews and faster job search success. Additionally, we conduct keyword research for every resume project to ensure that applicant tracking systems (ATS) have something to grab onto when recruiters and hiring managers perform database searches for qualified claims adjuster candidates. Time is money. And the longer you wait, the more a sluggish job search is costing in terms of lost income opportunity. Place your order today and start the ball rolling to move your job search into overdrive. Hey, were you aware that almost 90% of recruiters say that they have hired at least one candidate through LinkedIn? In fact, there are some positions that specifically request your LinkedIn URL as a standard part of their application process. We offer this service at discount for our resume writing clients. Click here to see what we can do for your profile.